*The remains of St Jerome were brought to this basilica in the 12th century and placed next to the five highly venerated pieces of wood from the manger of the Lord. Up to the last century these relics from Christ’s Nativity were located in the confessio within the chapel in the right transept. However, during the pontificate of Pius IX they were removed and placed in their present location below the Papal Altar. There is some doubt if the relics of St Jerome were also moved at this time. The relics of St Jerome, therefore, either rest under the Papal Altar within the main body of the church or within the confessio of the chapel in the right transept. *This church was built on the site of the house of St Paula. Tradition claims that St Jerome lived in this house when he was secretary to Pope St Damasus I (d. 384). *Several large paintings within the main sanctuary of this church depict scenes from the life of St Jerome. Both the church and the third chapel on the left side of the nave are dedicated to him. *This altar is near the entrance to the confessional area. *The mosaic above the altar depicts St Jerome receiving his last Communion. *The body of St John XXIII rests under this altar. *This church is on the Janiculum Hill. *The hillside that this church rests upon was largely uninhabited prior to the 15th century. The present church was commissioned to provide a place of prayer for a small community of hermits. As the church took shape much of its art took on themes that echo its eremitical origins. 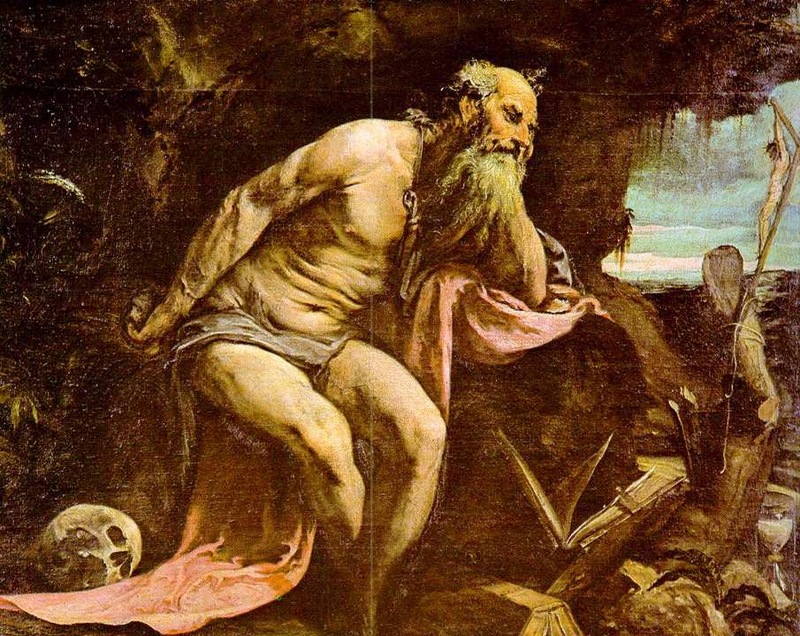 *St Jerome, like the church’s patron saint, Saint Onuphrius, was greatly renowned as an ascetic. Three frescoes found within the loggia located near the entrance depict various ascetical scenes from St Jerome’s life. These were completed by Domenichino in the 17th century. St Jerome is also depicted within the church in the first chapel on the left side of the nave. *This church is located in Trastevere. *The fifth chapel on the left side of the nave is dedicated to St Jerome. *Relics of the two popes St Callistus I (d. 222) and St Cornelius (d. 253) rest under the main altar of this church. These relics are joined by others in particular those of the priest and martyr St Calepodius (d. 232). *The fourth chapel on the right side of the nave is dedicated to St Jerome.